construction, generation and transportation partners since 1994. Welcome to Niaron Ltd. Based in Foynes, Co. Limerick, we’re a leading Construction and Civil Engineering company in Ireland. Offering flexible, multi-disciplined solutions, we Project Manage civil, marine, construction, generation and transportation works for a range of semi-state and private organisations. Mastering challenging and technically-complex projects, we pride ourselves on our ability to innovate while uncompromising on safety and performance. Celebrating two decades of industry success, family-run Niaron is unrivalled in terms of consistency and personal touch. With a dedicated client base that includes ESB Networks, Shannon/Foynes Port Company (SFPC), Bord na Móna, Shannon Estuary Anti-Pollution Team (SEA-PT), Limerick and Tipperary County Councils and Price Waterhouse Coopers (PwC), we are recognised for our reliability and diligence and our commitment to a sustainable environment. Niaron strives to set and maintain the highest of industry standards and our goal for every project is to be incident and injury-free. We ensure our technical accomplishments are supported by an excellent health and safety record. 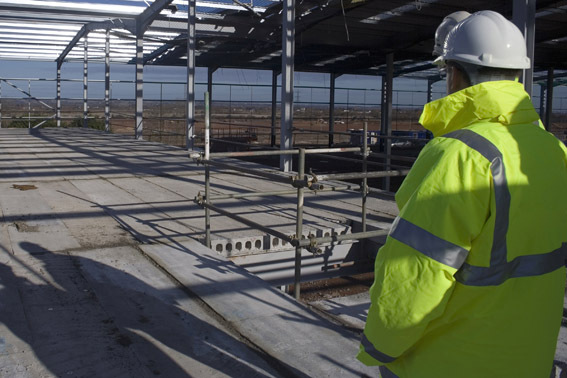 In-house and subcontractor education and training programmes promote a positive and conscientious health and safety environment whilst establishing clear expectations, responsibilities and guidelines. Niaron are proud members of CIF, CIRI & NISCO which is a testament to the excellent standards we continue to achieve.